In 1903 Col. Reynard, a Frenchman, showed his astonishing Reynard road-train at the Paris Salon. 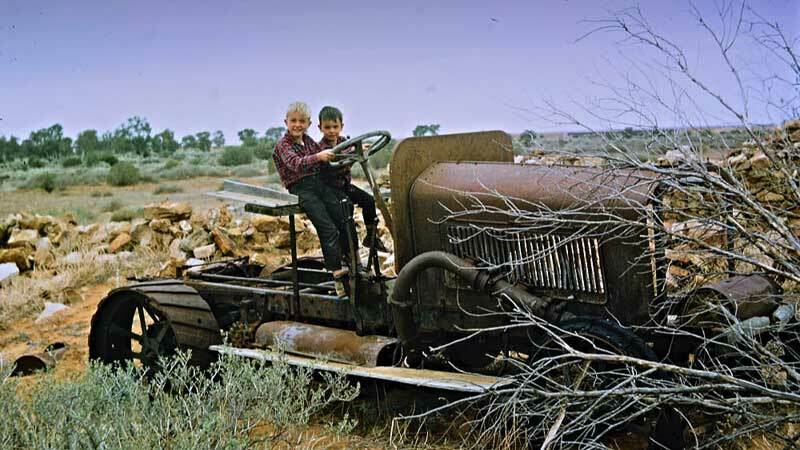 This consisted of a tractor coupled to six-wheeled vehicles driven and steered by a power-offtake from the tractor, enabling as many as four trailers to be towed. Daimler acquired the exclusive British rights and began to make Reynard road-trains from 1908. Apparently the thing worked but with its long prop. shafts to each centre pair of trailer wheels was extraordinarily noisy. Production ceased with the outbreak of war, but not before four Daimler-Reynard trains had been sent to Queensland, Australia. 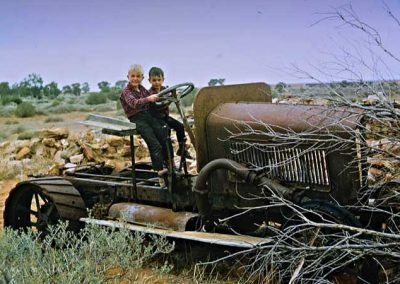 All trace of these queer but historic Daimler products was thought to have vanished until this year, when a Miss Margaret Cowen wrote to the Company from Brooklyn Park, Australia, reporting that in the crumbling township of Farina, in the far North, population two, lies a rusty wreck of an old Daimler truck. 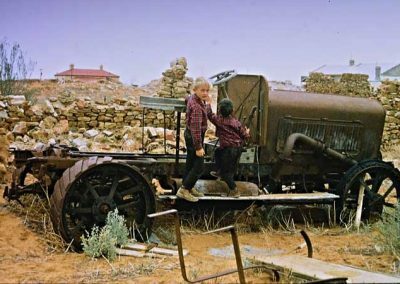 Behind it are several trucks it once towed; they once took copper ore from the Yudnamutna and Witchelina mines to the local railway siding. Co-incidentally, a pile of ancient plate negatives came to light recently in a dungeon under the Daimler works, one of which depicts the Daimler road-train and suggests that Miss Cowen has discovered the remains of one. Incidentally, it seems that these were also used in Vancouver and for carrying cotton and marble in Bombay after a demonstration at the London Omnibus Garage in Walham Green in 1907, when the War Office turned it down. Apparently 75 h.p. and 100 h.p. sleeve-valve tractors were used, able to handle up to 15 tons at comparatively high speeds even across country and up 1-in-5 hills. In 1911 a Reynard train was to have run in the Godiva Procession in Coventry but had to be withdrawn because it frightened the horses taking part. Charles Renard was born In Damblain, Vosges on 25th November 1847 where his father was the Mayor. Renard went on to become a brilliant scholar winning mathematics awards and studying mechanics. With the advent of the 1870 war he left school early and took up a military career. At wars end he studied aerial navigation and was responsible for many innovations including the dirigiable parachute, the first automatic pilot, marine boilers, the hydrogen generator and improvements to balloon stability. Most of these innovations occurred while he was commissioned to the French Army. Renard is well remembered for his extensive works developing the balloon – his objective was to build a flying craft that was lighter than air and able to be propulsed and navigated. Renard also spent considerable time in later years developing military vehicles. He designed units for cross country applications and developed a numbering system that went on to become International Standard IS03. Once Renard retired from the military he spent the rest of his life working on commercial patents right up until his death in 1905. 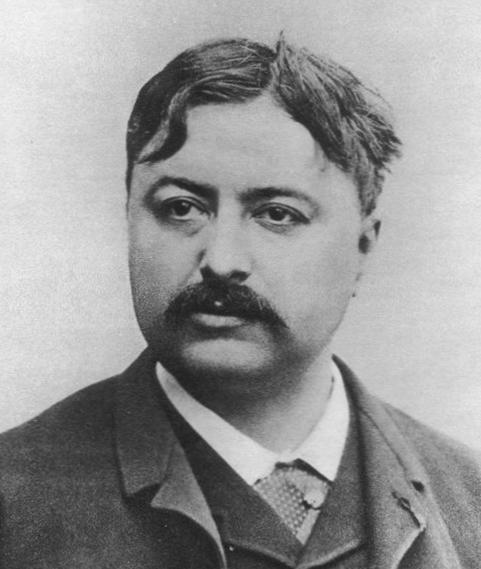 Charles Renard was depressed at the French Government’s disinterest in his innovations and subsequent refusal to fund their development. The last straw came when the French Government rejected his candidacy for membership to the Academie des Sciences . 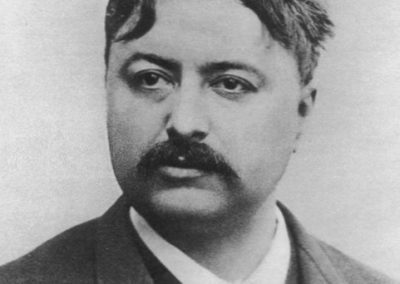 Charles Renard committed suicide in April 1905. Ironically, just a month later, Renards first commercial passenger unit was ready for sale. The first goods train was sold to Breteil Freres, a large dairy firm in Manche, France in July 1905. They used it to haul 45 tons of butter daily into various markets. Within the next couple of years several others were operating through France hauling passengers and freight. At this time of Renard’s untimely death his patents were taken up by a group called Renard Syndicate Limited. 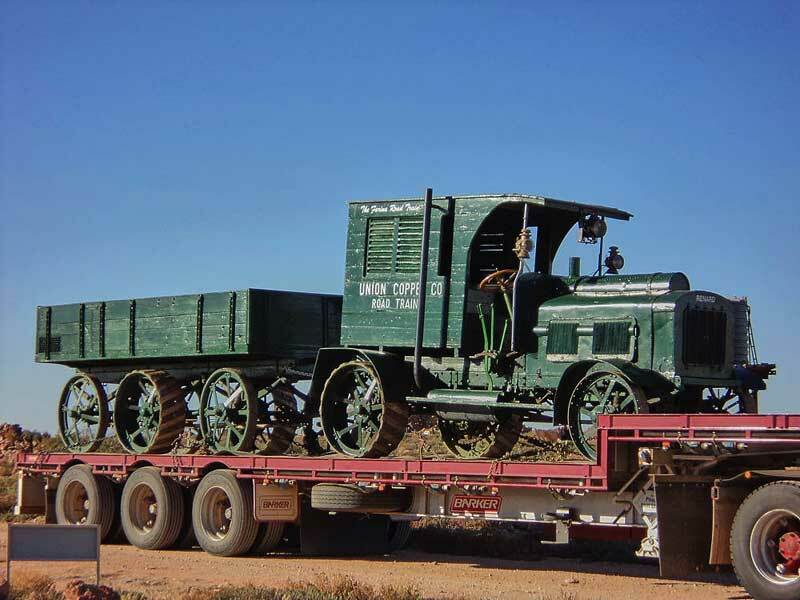 They were determined to further develop the roadtrain and sent a prototype to England. Manufacturing rights were eventually taken up by the Daimler Motor Company. 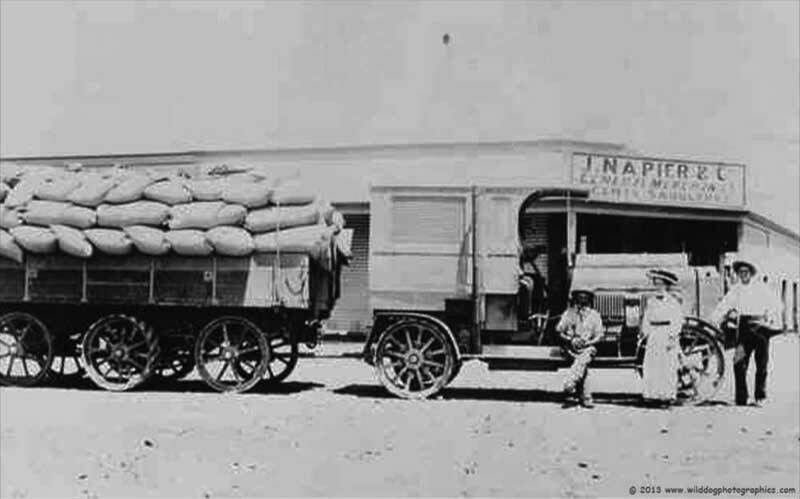 The Renard Roadtrain system was invented and patented by Colonel Charles Renard although many other people were to play significant roles in its development including Darracq in earlier years and Surcouf in later years. 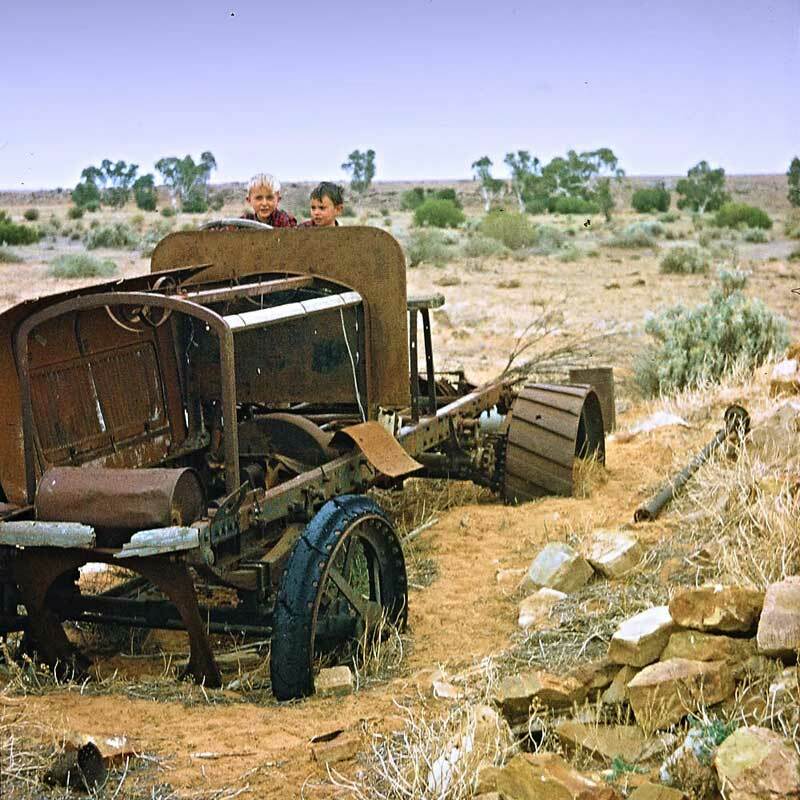 The Renard, and later the Daimler-Renard roadtrains went on to play significant roles in the development of Australia particularly in Queensland and South Australia. Although there is speculation that a fourth may have been sent to New South Wales we have yet been unable to track any evidence of that apart from the fact that the New South Wales Department of Agriculture went to the trouble of having a report made up on the benefits of the unit. The Renard Road Train was first seen on the Darracq stand at the 1903 Paris Motor Exhibition. Alexandre Darracq had earlier been involved in the design of the roadtrain primarily through development of the internal combustion engine. The Renard unit was unique by the day’s standards’ and consisted of a tractor hauling six-wheeled steerable trailers and powering the centre axle of each through a series of cardan shafts driven from a power take-off behind its rear axle. Within a few short years things changed dramatically. Mr M Surcouf had effected significant improvements throughout 1904. Charles Renard had committed suicide just a month before his first commercial unit was ready for delivery in 1905 and by 1906 a new group called the Renard Syndicate Ltd had been formed. They soon made the decision to send a prototype to London in the hopes of attracting a manufacturer capable of fitting it with a higher powered engine. In 1907 the Renard roadtrain was being displayed in London by in 1908 the Daimler Motor Company was making them. Charles Renard had struggled finding an engine with sufficient power to operate it the unit efficiently while laden. Colonel Charles Renard died in 1905 but his executors continued to operate the business fuelled by the excitement caused when, in 1906, the Renard train was paraded down the streets of Ambleteuse in France. The crowd were surprised at its ease of turn but it also suffered many breakdowns. A subsequent local newspaper reports that the train went on to have many successes in England, Germany, Hungary, America and “even Australia”. Does this mean one arrived in Australia prior to that? In 1907 the syndicated Renard company sent a prototype unit to the United Kingdom in anticipation of a more powerful engine. 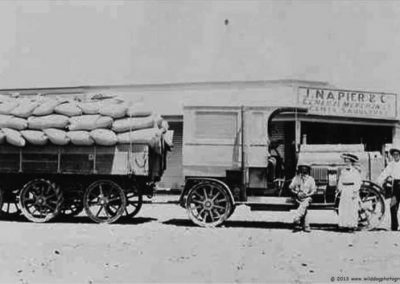 The Daimler Motor Company subsequently invested in the roadtrain syndicate taking up exclusive rights to manufacture in 1908. They soon exhibited their improved version of the Renard roadtrain. It had a motor with a bore of 185mm with a strike of 150 mm delivering 113hp at lOOOrpm (although 700rpm was recommended). 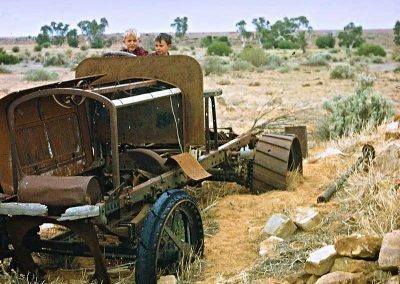 It is interesting to note that the Farina roadtrain (featured next page) only had a four cylinder motor. 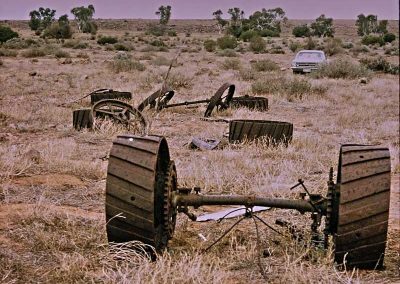 All records pertaining to the Daimler Renard roadtrains coming into Australia show them as being fitted with the ‘new’ Knight six cylinder sleeve engine’. From 1908 Daimler used the famous “Silent Knight” engine almost exclusively in their road trains. Mr FJ Field, Engineer to the London and district Motor Bus Company attested to the many advantages of the Renard system over ‘ordinary’ road haulage traction engines of the time. 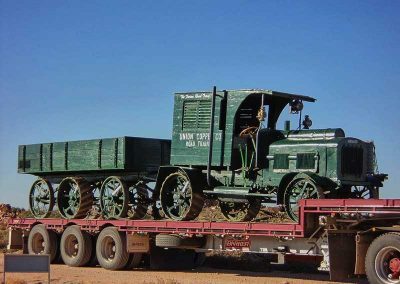 While it was initially anticipated by Daimler that Australia and other countries of the Commonwealth would be a huge market for their roadtrain, by the time the onset of WWI had arrived in 1914 production had ceased. Records show that the Queensland Govt paid around 4000 pounds for their unit in 1909 which was used to “feed” the railways. In 1914 Tasmanians were still lobbying to have a Renard sent to them. It is interesting that while Queensland papers were reporting on the failure of the Renard Road Train to meet expectations the Tasmanian newspapers were still extolling its many virtues. By then, the cost of the unit had increased to over 5000 pounds. 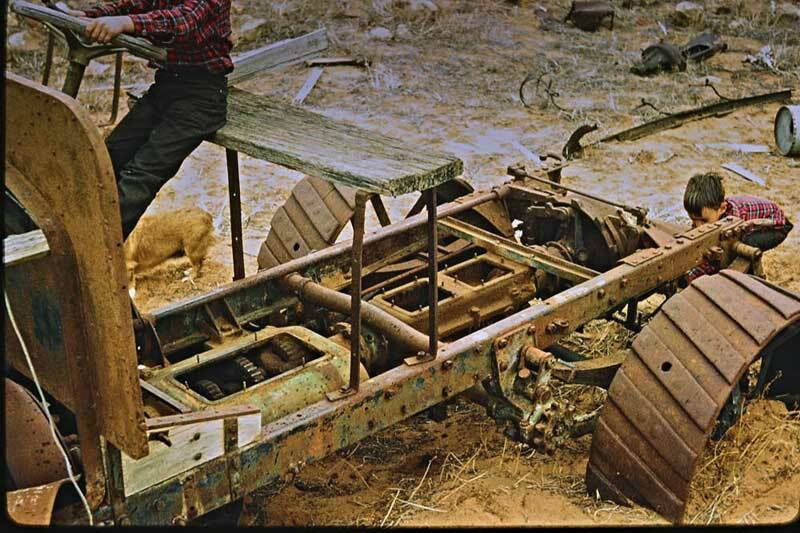 Even so the Renard Road Train had several embarrassing drawbacks that became well known. 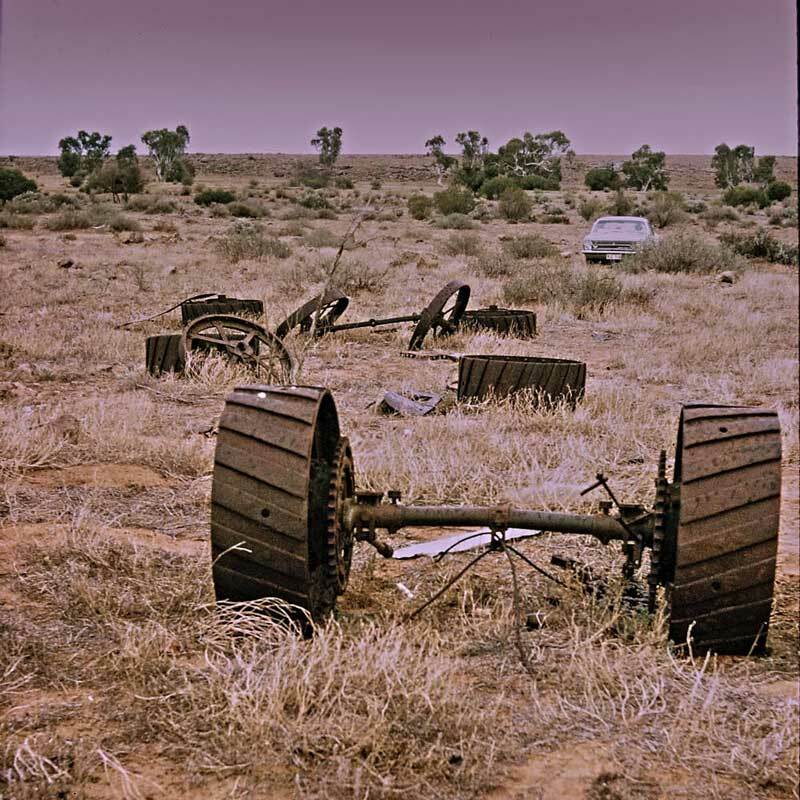 When crossing uneven ground, the central driving wheels lifted up and lost traction. 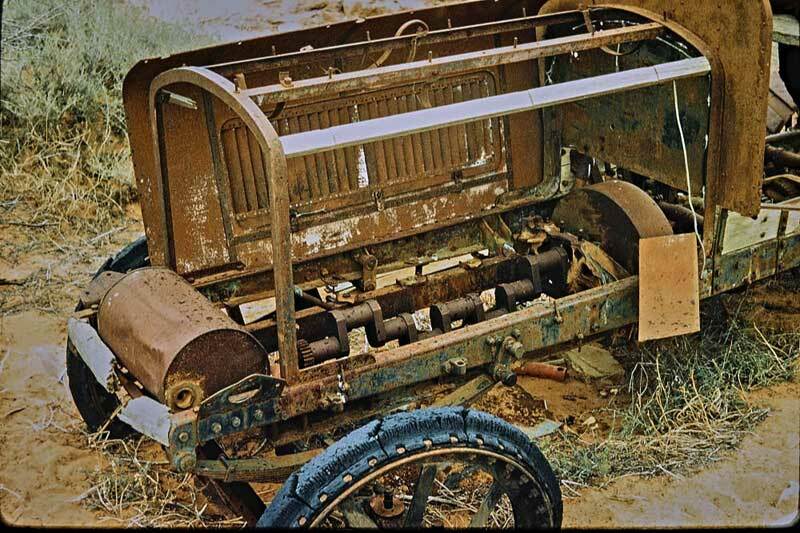 The transmission joints were deafeningly noisy and the rear truck took short cuts around corners – to the detriment of anything that happened to be in the way. Road Train Through the Streets. 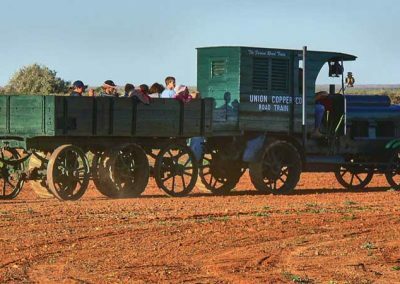 The Renard road train, recently imported by the Union Consolidated Copper Mines passed through the streets of Adelaide on Friday morning, and it caused a veritable sensation. The train was imported by the company to do its carrying between Farina and Yudnamutana, a distance of 80 miles. The engine in the motor consists of 100 horse power, and there are four trucks attached, each one of which propels itself, the power being transmitted from the engine to each respective truck by means of a cardan shaft. On Friday morning, at the invitation of Mr. A. J. Miller, the managing director of the company a representative of The Evening Journal had a ride in the novel train. 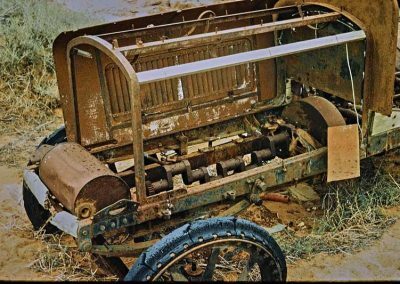 Two trucks were attached to the motor, and the bodies of these were built by Messrs Duncan and Fraser, from where the train started. The train, negotiated exceedingly sharp turns with perfect ease, the whole being negotiated by the driver, who was brought out from England and by the company. The train should revolutionise cartage in the north and elsewhere. Each of the four trucks which is a full complement, will be able to carry six tons. So great an interest has been created in the train that Mr. Miller has decided to give a public demonstration on Wednesday next. The manufacturers are the Daimler Carrying Company England. The Union Copper Company have the sole rights for Australia for the machine. After the run on Friday the train was pulled up in front of Duncan & Fraser’s establishment, a roof was fixed to the last carriage, the engine was reversed, and, by means of the rod a man guided the whole train into the yard as easily as one might lead a dog by a chain. 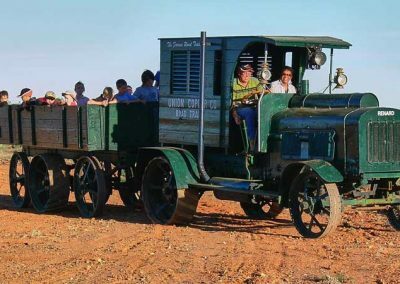 On Wednesday afternoon a public demonstration of the Renard road train was given before a large number of representative citizens, including military officials, pastoralists civil servants, and members of carrying and other companies. The train, which was imported by the Union Consolidated Copper Mines to do its carrying between Farina and Yudnamutana, a distance of 80 miles, was first inspected at Duncan & Fraser’s premises. Subsequently the guests were taken for a run in the four trucks attached to the motor. The engine is a 100-horsepower one and the power is transmitted from the engine to each respective truck by means of a cardan shaft. The tram was run down the West End, over the Morphett Street Bridge up the North Adelaide Hill, along Brougham place, and back to the city again. Coming back the engine was stopped in the middle of the Morphett Street Bridge, and with the third speed—there are eight speeds—the engine started off and pulled the train splendidly. 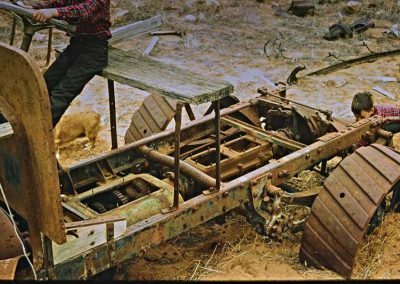 The visitors were also interested in the easy way in which the engine was reversed and the train, by means of a rod on the back truck, guided into the shed. Refreshments were then supplied. Mr. A. J. Miller (the managing director of the Union Consolidated Copper Mines) said the train was brought out by his company to do its carrying between Farina and Yudnamutana. The Renard road train had been working satisfactorily for two years in Europe. His company brought the machinery out, and Messrs. Duncan & Fraser built the bodies of the trucks in this country, with its wonderful tariff reform, they had to pay through the nose for everything. so they had the work done locally. He hoped they had been satisfied with the train. (Applause.) Mr. R.A. Duncan said the commercial motor vehicle was the most important vehicle in use and he had taken a great interest in the Renard motor train He had never seen a new invention universally and favourably commented on as the Renard motor train. The weight was distributed throughout the train. It was possible to go backwards or forwards, and the track made by the first truck would be followed by the other trucks, whether the train was going backwards or forwards. The train was used in nearly every country in Europe. There was no limitation to which the Renard train could be put for carriage purposes. A Renard train between Adelaide and the Port would pay handsomely, while it could be used in connection with the salt industry on the Peninsula and for military transport purposes Mr. A. J. Miller and Messrs. Duncan and Fraser were heartily thanked for the educational afternoon provided. 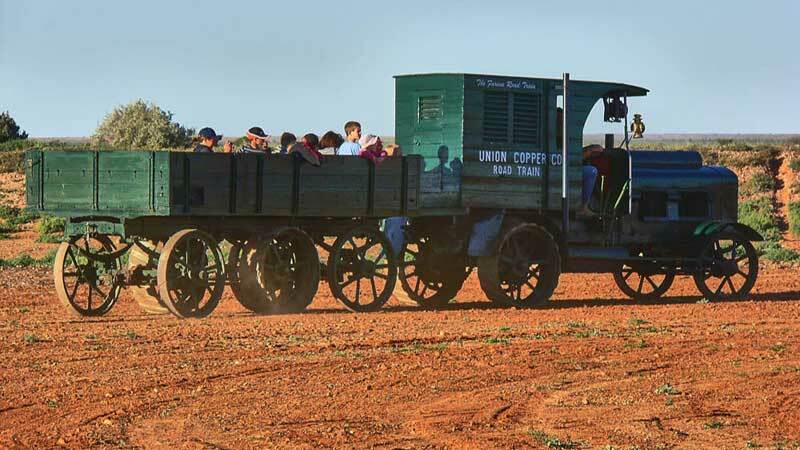 The union Copper Company’s road train is working splendidly. It travelled 60 miles yesterday in seven hours, over heavy roads negotiating the hills without the slightest difficulty. Much interest has been centred in the Renard road train since its arrival a few months ago. 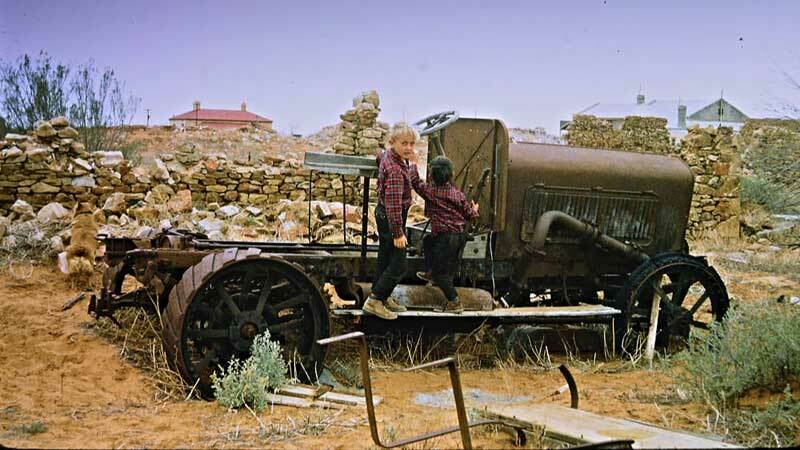 The train was imported by the Union Consolidated Copper Company of Yudanamutana to carry copper ore, coke, and other mining requisites from here to the company’s property. Those who knew the road prophesied for the train absolute failure. The road is interrupted by sand, deep creeks, and ruts. But the train has commanded the appreciation of the of the critics as it wends its way about the steepest hills with its load of coke, completing the journey of 80miles in a little more than a day. 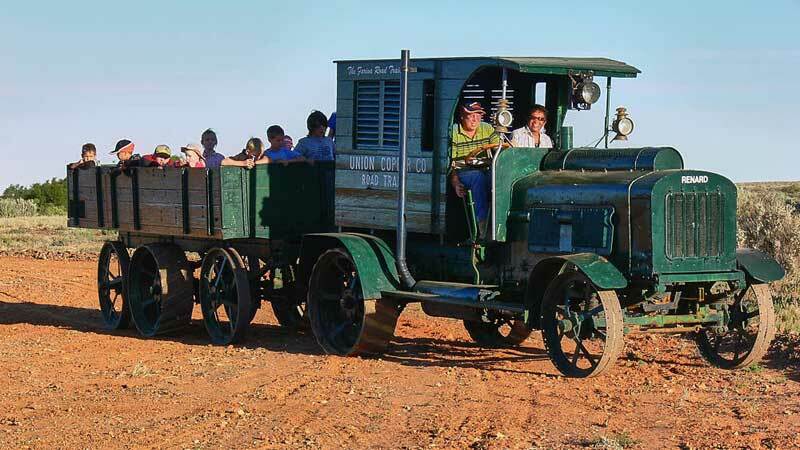 There are other parts of South Australia where such a train would work wonders. Only such power will allow mines at great distances from the railway to be worked at the present price of copper ore.
A BRIDE ON A ROAD TRAIN. The engine of the Renard road train took Miss B. Parsons to the Church of England this morning where she was married by the Rev.F. J. Huey to Mr. J. Wills. The engine, which was decorated was lent by the manager (Mr. G. S. Miller) of the Union Consolidated Copper Company. 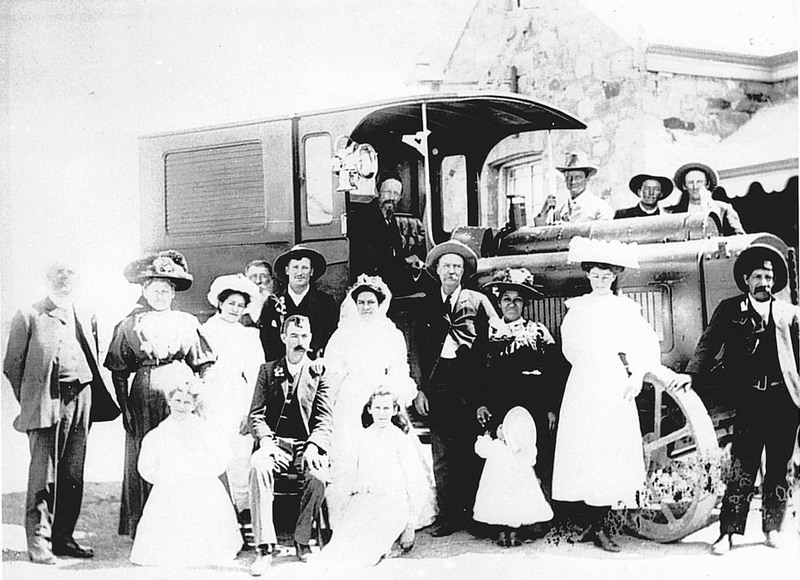 Miss Parsons can claim to be the first bride in Australia to ride to church in the road train. Six of the photos below were taken in Farina by Brian Beyer. He says that “They were taken in either 1968 or 69. By the buildings in the background, the relics would have been behind the Exchange hotel. I tried to work out the location when we were there last Saturday but there has been a lot of deterioration of the stonework since the photos were taken. Given time someone may be able to get fairly close by lining up the post office in the same angle as in the photos.